the Bones of the Dead. Janina’s voice, outlook, and sensibility are the greatest pleasures of Drive Your Plow Over the Bones of the Dead. She is a unique creation: cantankerous, dogged, judgmental, vociferous, outcast, insistent — deeply sympathetic to some, curt and dismissive of others — as well as being eloquent, caustic, and bitingly funny. Although she is perhaps skirting the edges of sanity, she’s so charismatic that there’s joy in going insane in her company. It’s no surprise to learn that Tokarczuk trained as a psychologist before she became a writer, nor that she credits Sigmund Freud’s Beyond the Pleasure Principle (1920) as the book that inspired her to begin writing. Her narrator, here, is basically a spokesperson for the wild interpretive possibilities of the mind, and to observe her from a remove is to become aware of the tenuous, highly subjective links between her actions and their significance, her behaviour and her apparent psychological frailty. Quirks and idiosyncrasies — occasionally irritating, often charming — illustrate Janina’s lack of social graces and offer glimpses of the meaning-making apparatus whirring away inside her head. She refers to her fellow villagers exclusively by the nicknames she gives them, such as “Big-Foot” and “Oddball” and “Moustachio”. She capitalises nouns, including abstract nouns, in a way that personifies the forces she thinks are in control of human affairs: “the Night”, “the Sun”, “Death”, “the Practical”, “the Sentimental”, “Outer Space”, “my Ailments”, “my Theory”, “a Surprise”, and so on. One of the most important nouns for Janina is “Creatures”, because she feels a closer attachment to the natural world than to the human one. In fact, throughout the novel, she voices concern for “Hares, Badgers and Deer”, “the Wolf”, “Dogs”, “Birds”, and “Bugs”, and she even refers to a herd of deer as “Young Ladies” who might be her daughters, her “Little Girls”. Also, she is fanatically attached to the poetry of William Blake: she has devoted much of her life to translating his poems into Polish, she quotes him liberally, and even the title of the novel is an abridged line from Blake’s Marriage of Heaven and Hell (ca. 1793). Importantly, too, Janina is fluent in the language of the zodiac, defaulting to astrological interpretations of the world: she believes not only that a person’s moral character is determined by the stars at the time of their birth, but also that events are directed by the vicissitudes of the zodiac. Given that she narrates in service of solving a mystery, connecting causes with effects, she is a narrator of legendary unreliability, a match for the likes of Frederick Clegg and Humbert Humbert. As I slowly became aware of what had happened here, I was gradually filled with Horror. He had caught the Deer in a snare, killed her, then butchered, roasted and eaten her body. One Creature had devoured another, in the silence and stillness of the Night. Nobody had protested, no thunderbolt had struck. And yet Punishment had come up on the devil, though no one’s hand had guided death. But then this first death is followed by several others, each of which also involves animals in some way. Is their presence coincidental? Is it a carefully orchestrated disguise for somebody’s foul play? Or does it perhaps have an entirely different cause? Janina comes to believe that the animal kingdom is pursuing vengeance against the hunters who have exploited the fauna of the valley for far too long. In the face of justifiably skeptical authorities, Janina insists that she can prove her theory by cross-referencing the star signs of the victims with the conditions of the zodiac at key dates. So maybe she’s right, after all. Or maybe she’s just bonkers. Or, then again, maybe both of those things are true. So, in a ferocious stretch of writing — a section that takes up one-tenth of the entire novel, in which the pace accelerates, the rhetoric soars, philosophies clash, and the drama reaches a high pitch — Janina finds herself culturally excommunicated, and her oddball investigation of some unusual deaths grows into a full-blown crusade against the powers that be. No doubt, by this point, readers who discovered Tokarczuk with Flights will suspect that Drive Your Plow sounds like something rather different. It certainly is, and there’s no escaping the feeling that it’s a comparatively minor work. That’s not necessarily to fault the novel on its own terms. Like Flights, it does something exciting, something structurally daring, in casting onto the page a handful of dissociated topics and striving to foreground the spirit that unites them. Unlike Flights, however, it doesn’t leave much to the reader’s imagination, as the whodunit narrative and the consistent first-person narration work together to funnel everything through Janina’s consciousness. The connections between events are explicated and streamlined, closing down the spaces for speculation that Tokarczuk meticulously carved into Flights. Drive Your Plow Over the Bones of the Dead is a simpler book, more of a closed circuit, so carefully and holistically constructed as to seal off the access points that would invite readers to participate in making it meaningful. To put this in terms that William Blake would appreciate, it’s a beautiful book that arrives in the wake of a sublime one; it is thoughtful and suspenseful, cinematic and gripping, but its beauty is easier to regard and admire than to immerse oneself in. Where there is some common ground between the two books is in their dedication to working through the implications of their narrator’s distinct perspective on things. 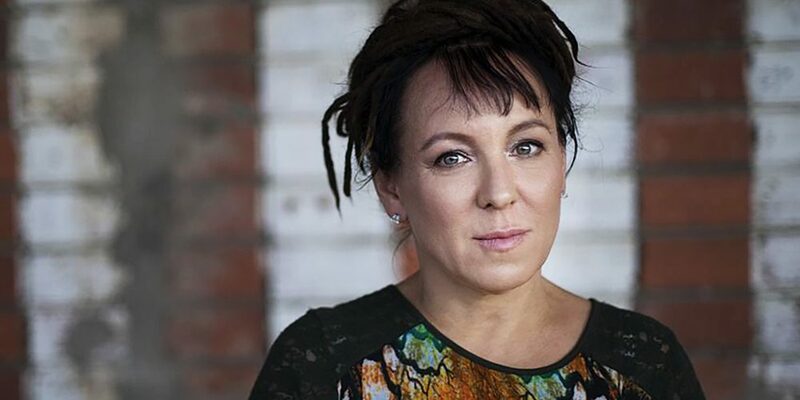 If there is such a thing as “an Olga Tokarczuk novel”, in the most particular sense of the term, then it is likely to be defined by this quality. In Flights, taking a narrator with a gleeful commitment to itinerancy, Tokarczuk elaborates on the ways in which this commitment flows through to all other aspects of the narrator’s being in the world: her choice of words, her affinities, her politics, her ethics, her lens on everything that passes before her eyes. In Drive Your Plow Over the Bones of the Dead, Tokarczuk takes an even more peculiar narrator — one who wants to be, in a sense, something other than human, or else to be a human being in a world that accords no special status to humankind — and again she shows how these peculiarities colour the narrator’s view of things, her conception of the phenomena she encounters, her way of looking outwards from herself. What’s impressive about Tokarczuk’s project isn’t the intrinsic oddity of the narrators she prefers; it’s the strangeness with which they paint our familiar world, and the thoroughness of Tokarczuk’s efforts to exhaust the experiential consequences of their divergent worldviews. The project is a risky one. 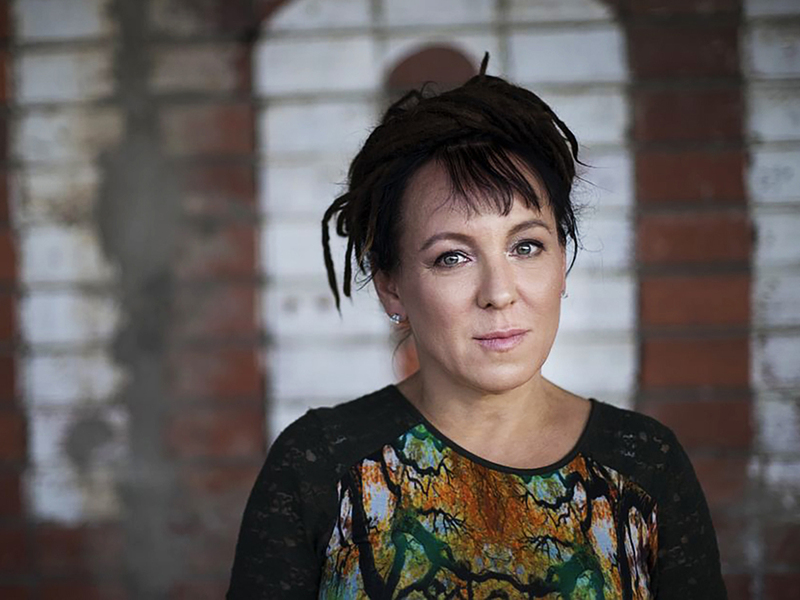 It would be easy, after all, for a narrator like Janina Dusezjko to become irritating or exasperating, superficial or twee, but Tokarczuk and her translators consistently steer clear of the dangers with a skilful lightness of pace and style. 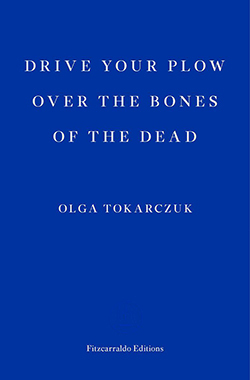 The result, in Drive Your Plow Over the Bones of the Dead, is an uncommon fusion of seriousness and eccentricity, of philosophising and page-turning pleasures, which confirms Tokarczuk’s talents without quite flaunting them and suggests that her body of work contains further gems worthy of translation.